Christmas is the most wonderful time of the year and we can’t wait to get our trees up, decorate our houses and eat all the food. 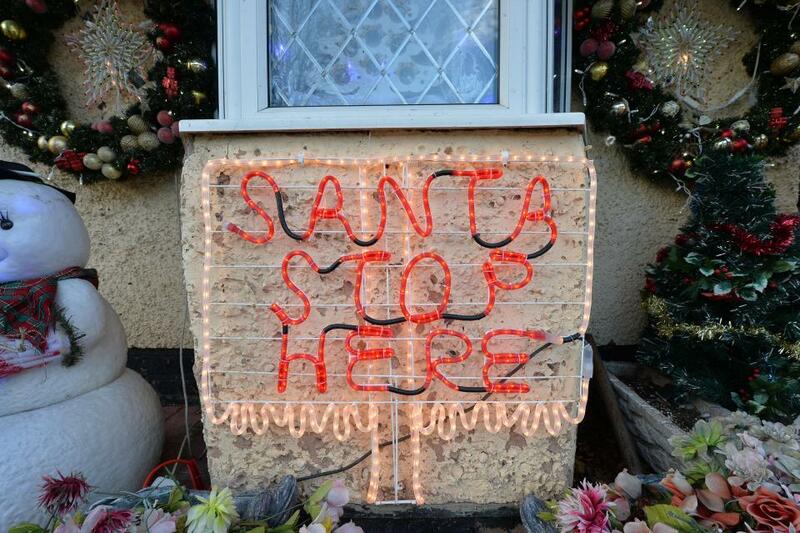 Typically people hold off until December to do all this but one particularly festive family just couldn’t wait. 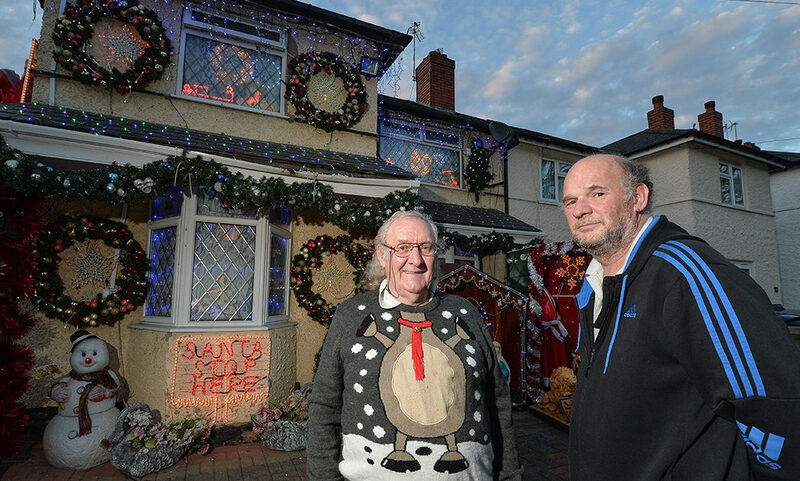 Getting into the Christmas spirit early, John and Jean Copestick, both 74, began decorating for the season at the end of September and have finally finished putting up their 10,000 Christmas lights. 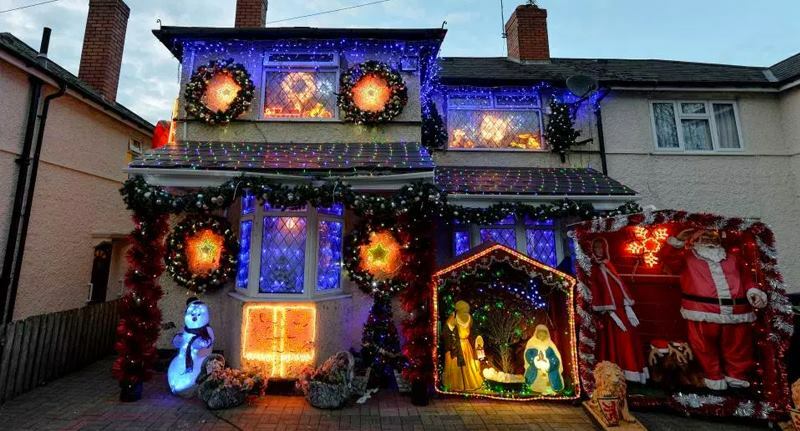 Although there are still 60 days until Christmas, the couple wanted to put up a dazzling display in time for October half-term so kids can enjoy it. 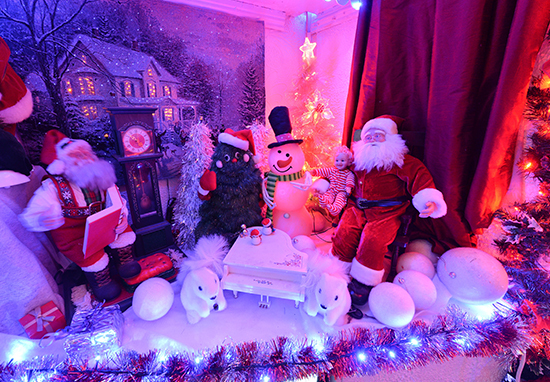 Costing an astonishing £7,000, their semi-detached property in Stirchley, Birmingham is adorned with snowmen, tinsel, flashing lights, a giant Santa Claus and over 10,000 sparkly fairy lights. Son-in-law John Fitzgerald, 55, and his wife Jane, 50, helped the couple put up the decorations. According to John, they try to be the as environmentally friendly as possible switching the lights on only when people are visiting. They don’t take too much notice of the electricity. When people knock we switch the lights on if they are coming in. John has even had Sunday dinner and stopped when people came round and showed them. He doesn’t care what he’s doing, he will stop and say ‘come on in’ and switch them all on for them. Neighbours love it, they say we remind them of Christmas and then start putting theirs up. 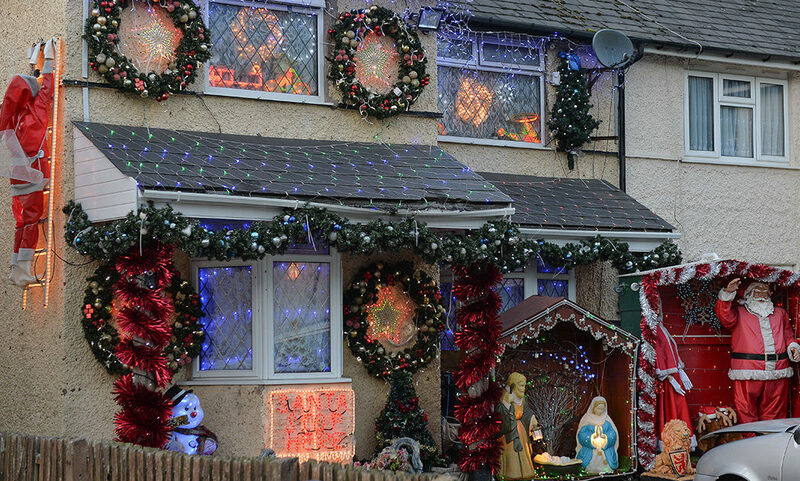 It takes the family about four or five weeks to get all the decorations up there are so many of them, and John’s efforts are outstanding in his neighbourhood, saying ‘we are the only ones in the street who light up the whole house’. The tree went up the other week but everything else went up about two to three weeks ago starting from the back garden to the front garden and then the whole house. There’s roughly 10 boards on walls in back garden, along with what’s in the centre of the garden, the Father Christmas and Christmas tree. There’s probably about 20 in the back garden and out on the front a big thing with Father Christmas and Mrs Claus and two reindeers and plaques on the walls. In the house you’ve got about 200, if not more, and all the ceilings are completely covered from the back door. Everything lights up, shelves, lights around the shelves, everything. It looks like the old-fashioned shops with a decorated window and we put lights all the way round that so they are flashing. There’s tree lights, a reindeer which is asleep but is moving, an angel in the window, unicorns, choirs. We have got a set of houses we bought a few years back and that plays 25 tunes so we just put that on. 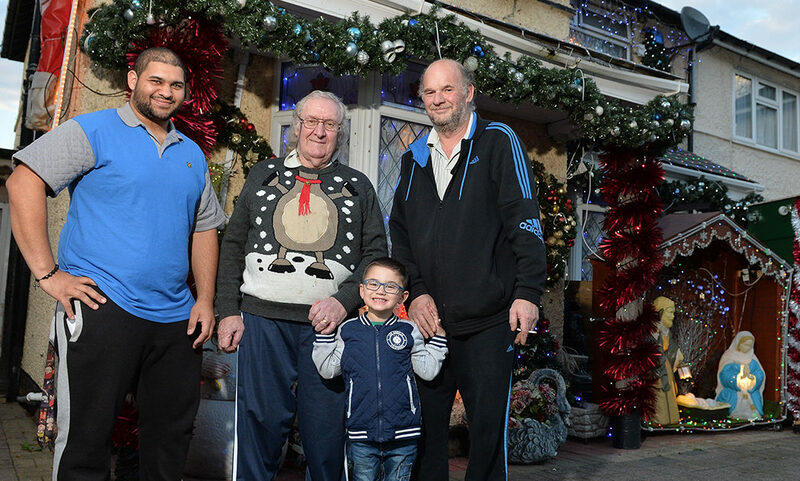 The Copesticks aren’t the first to get into the Christmas spirit, as six weeks ago a Liverpool family decided to put their tree and lights up, though not quite to the degree of the Birmingham family. I just wish my parents would decorate our house like this – all I get is some measly tinsel on the stairs.